For the past two summers I've journeyed north to visit the closest National Park to home - Mt. Rainier. Having concentrated my most recent trips on the park's amazing NE corner, this year I decided it was time to check out the SW area around Paradise. Home to waterfalls, a historic Inn, and stunning alpine flower fields, unfortunately it's also the most popular part of the park. 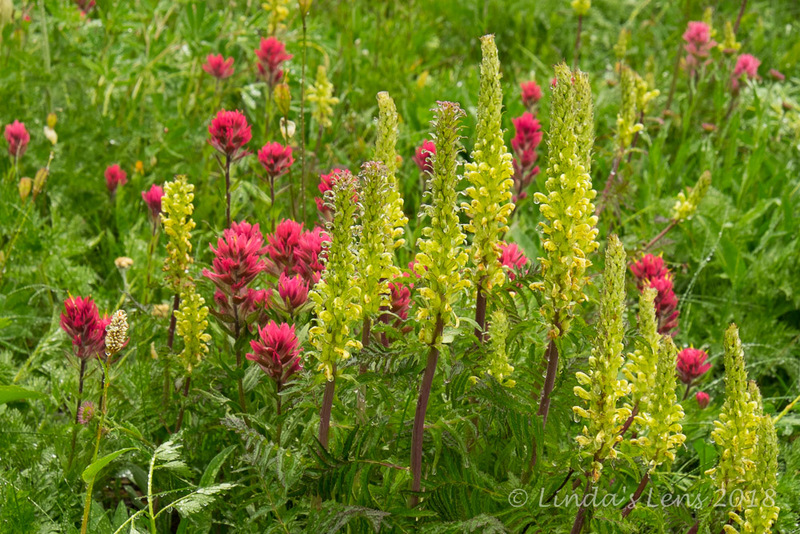 Despite the crowds, social media posts of fantastic wildflower meadows were enough persuasion to plan an early August trip. Not having campground reservations, I worried about snagging one of the few "first-come, first-serve" sites at nearby Cougar Rock Campground. Increasing my odds meant leaving Portland at the crack of dawn Friday morning. Campsite procured, and tent set up, it was time to explore. First stop, lovely Christine Falls. Directly adjacent to the main park road, it's easy access meant battling crowds. But persistence paid off, and after waiting for a couple of photographers to clear, I had the place to myself for several minutes. Situated in a gorgeous rocky canyon perfectly framed under the highway's decorative rock bridge, lens candy doesn't get much better! Still fairly early in the morning, I then pointed my car up the steep, winding road to Paradise. Knowing that the parking lots filled up quickly, a mid-morning arrival was imperative. Although the main lot was already full, I did manage to find a spot in the overflow. Shouldering my backpack and camera bag, I eyed the heavy clouds but neglected to grab gaiters and umbrella. (After such a dry spell, it couldn't possibly rain, could it?) I'd later regret that decision. After grabbing a map at the visitor center, I followed a paved walkway to a huge trail junction. Which way to go? Seeing a patch of purple asters, I impulsively started in their direction. 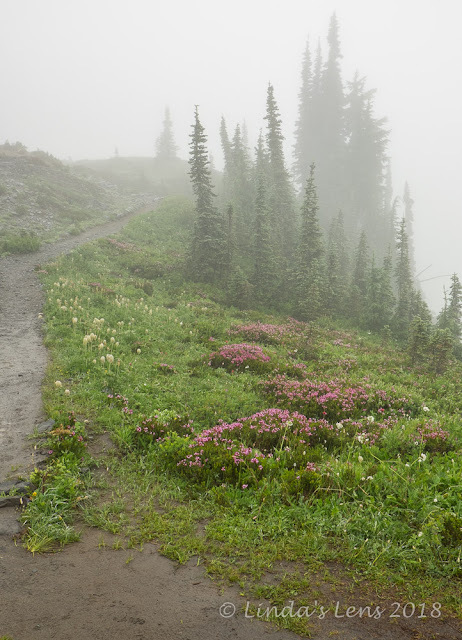 Fog hid Mt Rainier from view, and a light mist hung in the air. 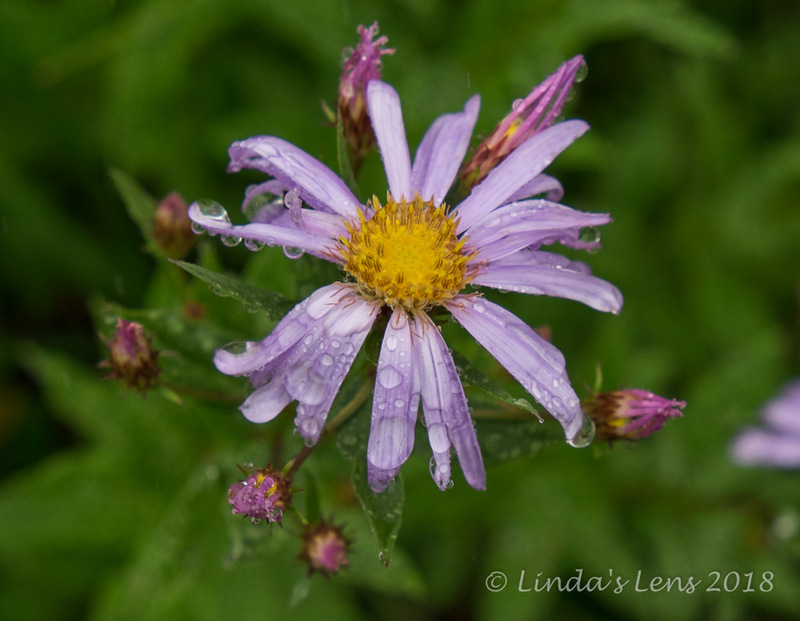 I grabbed a few shots of the raindrop-soaked flowers before stashing my camera inside my rain jacket. It didn't take long before the light mist transitioned to heavy raindrops. After several weeks of hiking in scorching temperatures, I reveled in the cool, wet weather. Boy had I missed the rain! Delighted, I splashed through a few puddles that were forming on the asphalt path. 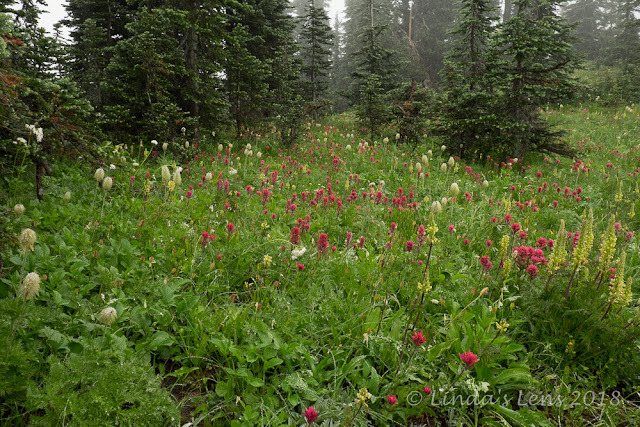 Wildflowers in Rainier's high alpine meadows were putting on a fine show. I wanted to take zillions of photographs, but the rainy weather put a kibosh on that. Instead, I kept my camera safely stashed away, only braving the elements for a few truly beautiful sights. Trying to cut down on weight, I'd brought my Fujifilm XT-1 mirrorless camera for this trip, and unlike my diehard Canon 7D, it wasn't quite as weather-resistant. I wandered about two miles on the Skyline Trail, taking in the foggy wonderland and flower-filled meadows. I passed by lovely Myrtle and Sluiskin Falls, and huge fields of Western Pasqueflower (aka "Hippy on a Stick") and Magenta Indian Paintbrush. But the now-constant rainfall began taking it's toll. My feet started to get wet, and water began seeping through the seams of my jacket. (Yeah, I was kicking myself for leaving those gaiters and umbrella in the car.) Although I'd had big plans on hiking the entire Skyline Loop Trail, a sign noting a 1-mile return to the visitor center via the Golden Gate Trail made me decide to cry "uncle." I drug my waterlogged self into the visitor center's cafeteria, ordered a hot tea, and located an open table. The place was crammed with tourists, most like me taking refuge from the wet weather. Since I'd brought one rain jacket and only one other change of clothes I lingered for a long time in the warm cafeteria, hoping these garments would dry out a bit. The disadvantages of tent camping, I had no other heat source. I found a seat by the heater on the visitor center's upper level, and spent a good 40 minutes watching folks wander by while my clothes dried. But eventually the itch to see more sights won out, so I took my slightly damp self back to the car. Once inside, I cranked the seat heater and fan and spent extra time driving around enjoying the warmth. Seat heaters do an amazing job of drying wet hiking pants! Surprisingly, once I descended from the Paradise area, the rain stopped. Arriving back at my campsite, although the skies were still cloudy, it looked as though it had never rained. (Amazing the difference 2500 feet in elevation makes!) I was thankful - having paid for two nights, I didn't want to begin my weekend in a wet tent. By now it was mid-afternoon, and I still had time to explore a bit more. Consulting my maps and guidebook I discovered a trail that led right from the campground and followed the Paradise River past two waterfalls. Perfect! It's always a bonus when you're able to hike right from your campsite. So off I went to get in as many miles as I could before nightfall. 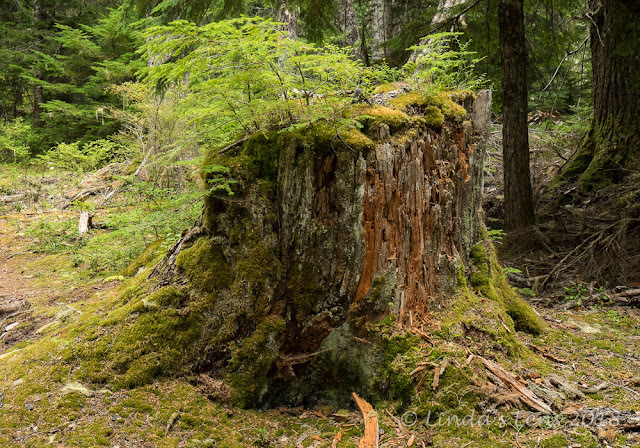 The trail wound through mossy woods before coming out onto the barren, rocky plain of Paradise River. 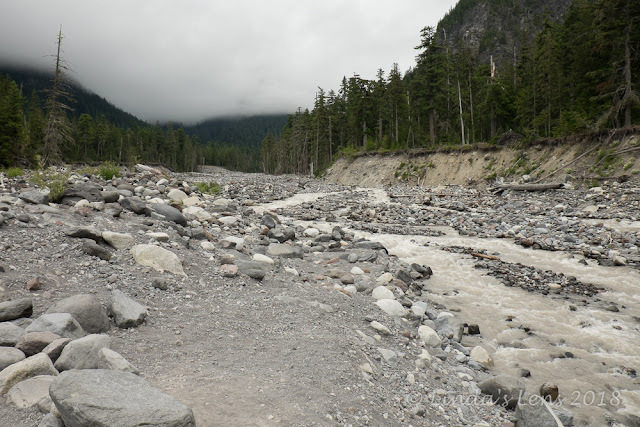 A glacial stream, the Paradise was lined by large, round boulders and it's water ran milky with sediment. Being late afternoon, the river was churning with the day's snowmelt. 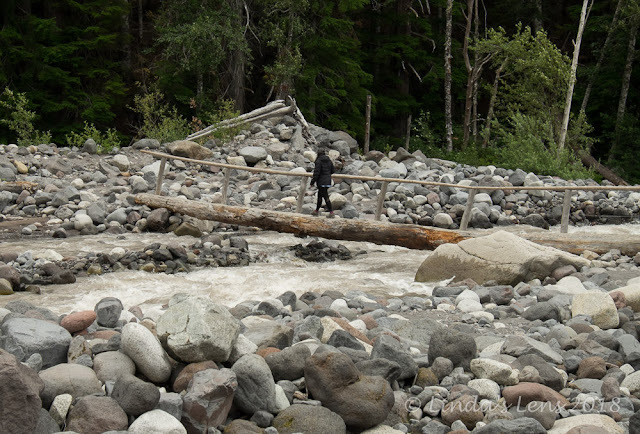 A single log bridge led hikers across this scary waterway. I watched a lady ahead of me traverse the log first before scampering across. 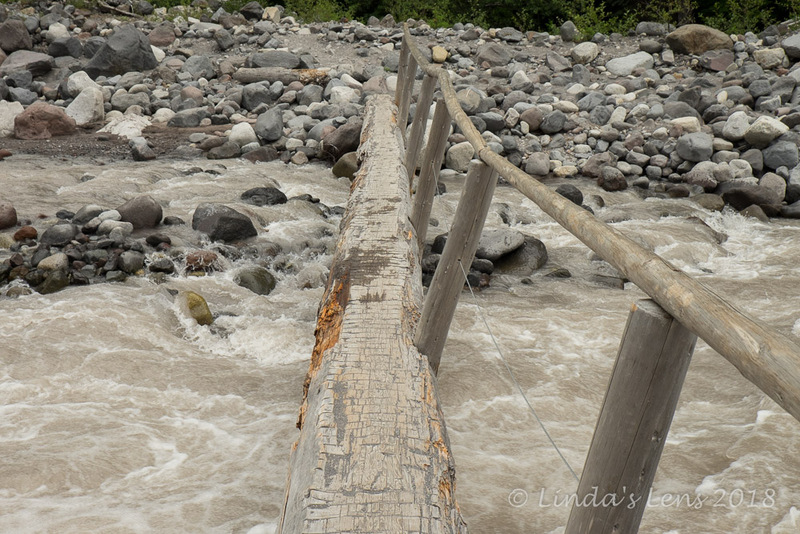 Although intimidating, the crossing was actually much tamer than it appeared. Once across the river, my path climbed steadily through more dense woods. I came upon an old wooden water pipe following the trail. 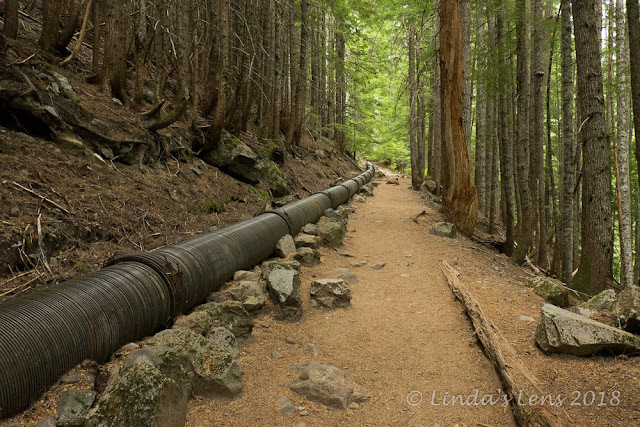 A relic from the past, this huge pipe once diverted water to a generator, supplying the park's electricity. After a mile and a half, I came upon Carter Falls. Hidden behind thick vegetation, it was kind of a disappointment. But just a short distance beyond, Madcap Falls was smaller but much more visible. 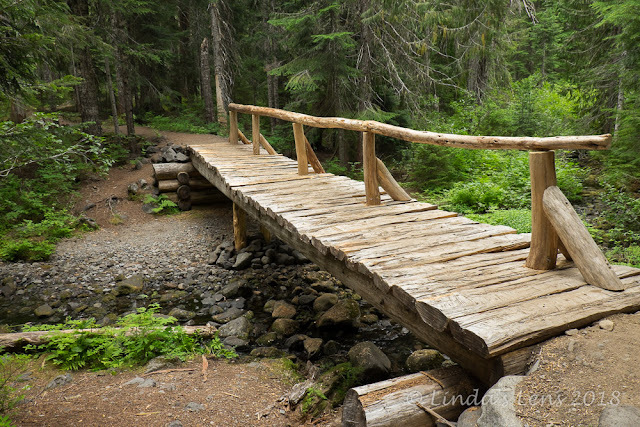 I'd hoped to make it all the way to Narada Falls, another 2 miles down the trail, but I lollygagged enough that approaching darkness forced me to turn around a mile short of my goal. After balancing on that narrow log crossing raging Paradise River, I did have to laugh when I came upon a wide, sturdy bridge spanning a tiny trickle of a stream. 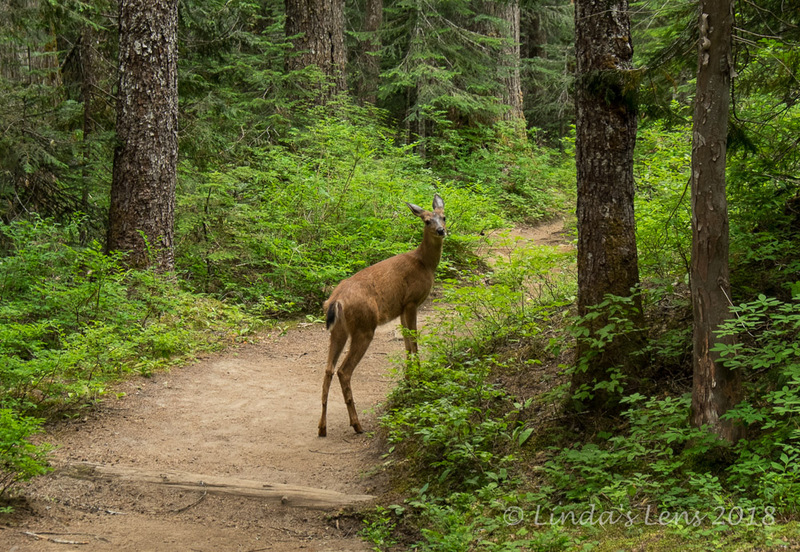 The icing on the cake was rounding a corner and nearly walking into a deer on the trail. After glancing up at me, the doe calmly resumed her evening dinner. I stood firing off photos in the dwindling light until she got tired of the paparazzi and ducked into the woods. Reaching my campsite shortly before sunset, I enjoyed dinner before turning in for the evening. Despite the wet start, it had been a successful first day at Mt Rainier National Park. Having a couple big hikes planned for tomorrow, I hoped the weather would be a bit drier. I'm kind of crossing my fingers for day two as well - not that it can do much good now! I guess you need both sun and rain to grow flowers though. Glad to hear someone else carries an umbrella as I was often ridiculed for mine, but I found it useful in so many ways - even used it as a parasol once! Muito bonito este parque, gostei bastante de ver as fotografias. Hello, these photos brought memories of my trip there. We stayed at a B&B right outside the park entrance. The waterfalls and wildflowers are lovely. Great sighting of the deer on the trail. 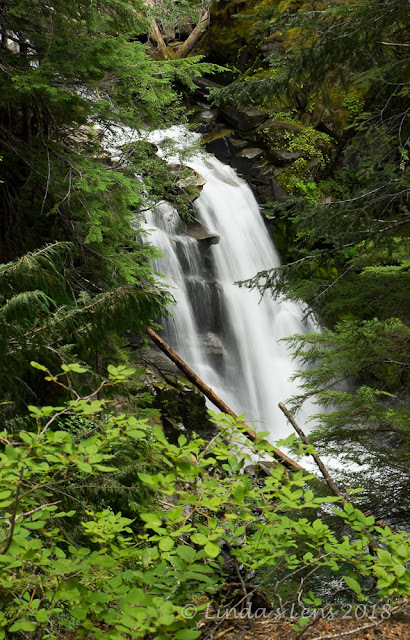 Great hikes and photos. Have a happy day! ...looks mightygood on a soggy day! You sure have had a fantastic summer full of flowers. 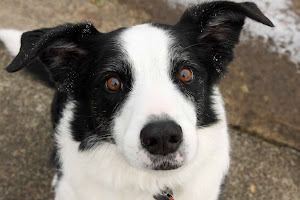 I cracked up when you said you had missed the rain...I get it though, it has been too darn hot these recent summers! Thanks for sharing. I just got back from my annual fall trip to Rainier. We only had two days out of six with decent weather, but when it's clear it's great. Ohanapecosh campground was full for the closing weekend, so we ended up at Packwood RV Park. October is the best time for sunrise photos with fall colors at Reflection Lakes. It was snowing up at Sunrise. We hiked to Sheep Lake and continued up to the pass above it for great views of all the mountains to the south. We always see a group of elk wandering around Packwood each morning. I held my breath when I saw one elk run across the highway right in front of a log truck, but the driver was able to slow down in time to avoid it. Also saw the most vivid and longest lasting rainbow of my life in Packwood. I got soaked, but took many pictures. Love your adventure photos. Nice deer shot too! Happy day my friend! You need to get a campervan like I have, least you don't have to put away a wet tent. Really beautiful. An appropriately named mountain? I'm glad to see there are other intrepid tent campers. Oh how I can relate to trying to dry out before going to the campsite! Mt. Rainier! I haven't been there in years. I hiked up to Camp Muir a couple times. I should go back. Love your photos. 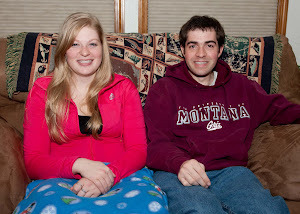 Looking forward to more. Nice mix of photos there. Like the deer. You certainly made the most of the poor conditions. 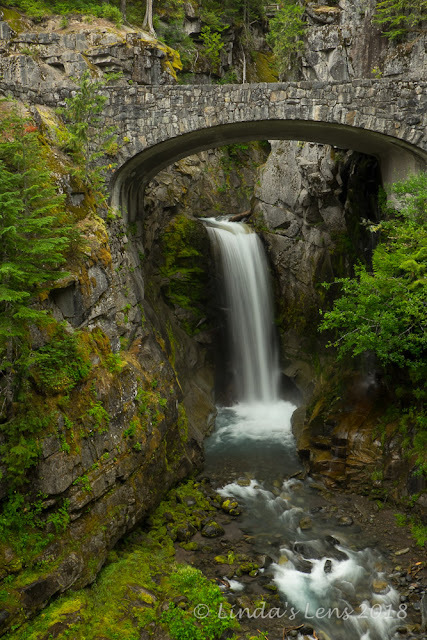 Your photo of the Christine Falls is stunning. 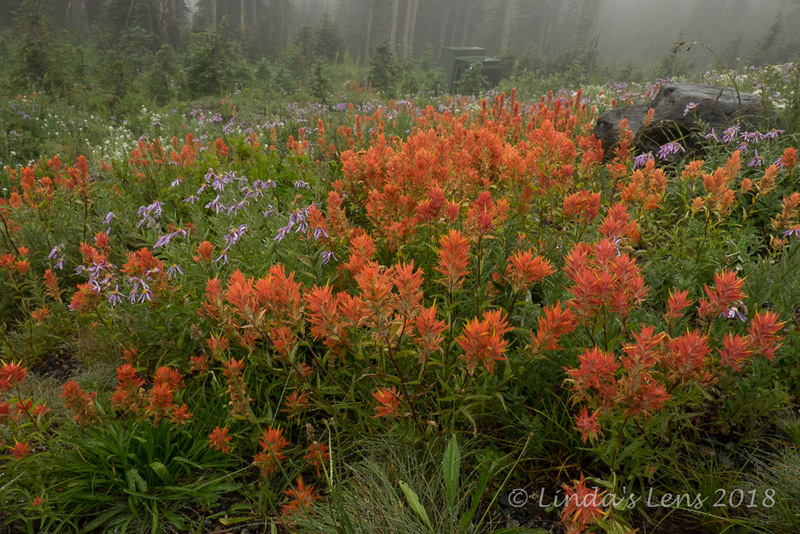 I love the misty foggy photos as that is weather we don't see often here in Colorado. 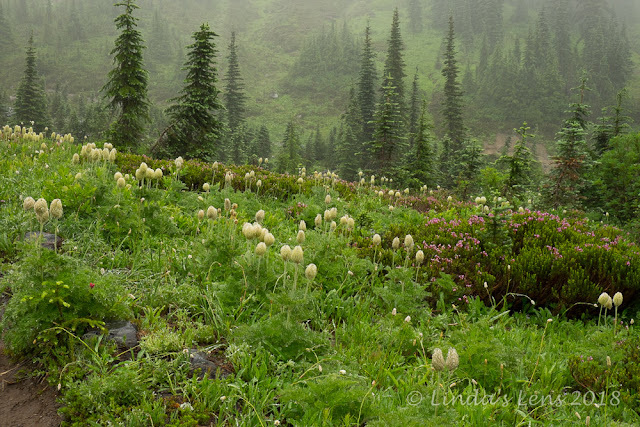 The lush growth of the forest and profusion of flowers everywhere is so enchanting. I've hiked in rain and enjoyed the extra sensation as long as it isn't cold. I'm having Ranier envy looking at your photos! Don't be shy! Please leave a comment. I love to hear from my readers. Please leave a comment! If you see something you like, please let me know. All images and stories posted here are my original work. My photographs are copyrighted material. Do not copy photographs or republish written material from this blog without my written permission. And please do not pin my images to Pinterest. Thank you! An adventurer at heart, there's nothing I love more than exploring my beautiful home state of Oregon. With camera in hand, I tackle the trails of the amazing Pacific Northwest. In winter, I trade hiking boots for skis and gleefully head to the mountains. I enjoy sharing photos and stories and this blog is my attempt to tell the tale behind the image. Join me for the ride!